Item Company 501st PIR - "WE BLITZ IT"
Item Co was formed along with the rest of the 501st PIR in November 1942 at Camp Toccoa, GA. 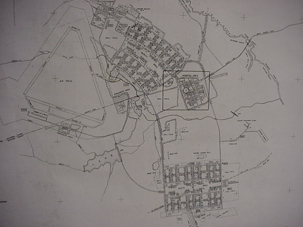 The 501st PIR was moving into Toccoa as the 506th PIR was moving out to Ft. Benning to attend jump school. At Camp Toccoa Item Company went through 13 weeks of “A”stage training. During this stage of paratrooper training a 12 hour training day was standard. The days were filled with Basic Military training, physical training and weapons training. The physical training consisted of doing push-ups, pullups, squat jumps, and various other exercises designed to strengthen arms and legs, and increase overall endurance. The men ran daily to the top of Currahee Mountain in addition to their physical training, and then made long forced marches at night, or negotiated a night compass course. Said one member, the training was such as to "acquaint you with a well of energy which you had never tapped in your life before." Here, also, the men were to go through the roughest obstacle course in the United States Army. Some thought that this obstacle course was designed by a sadistic fiend who delighted in the torture of young men. 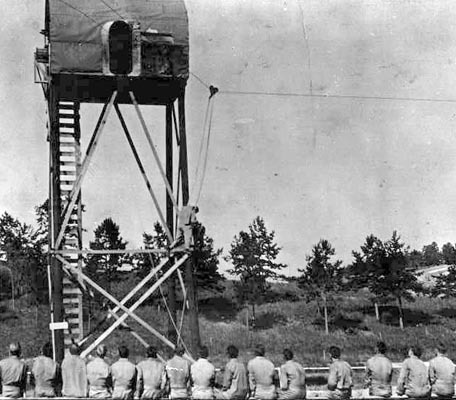 In addition to the rough physical training, the men also completed the "A" Stage training for jump school. 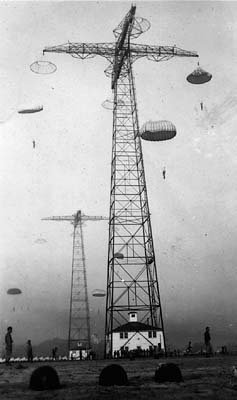 Here they became potential paratroopers, undergoing various ground training, including much work in the 34-foot tower. In March of 1943 Item Company moved to Ft Benning GA, for Jump School. Item Company was quartered with the rest of the 501st PIR in the “Frying Pan” at Ft Benning. Here they began a busy month learning the Army way to jump from airplanes. 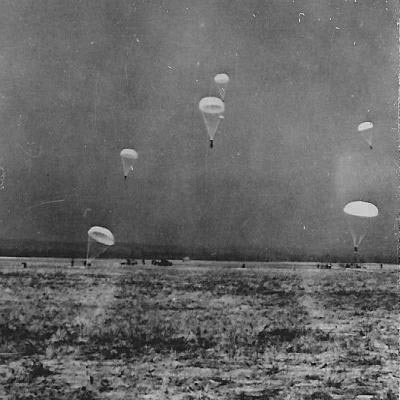 The men of Item Company learned how to properly tumble upon landing, to pack their own parachutes and jump from airplanes. Upon the completion of jump school Item moved to Camp Mackall, N.C. and into the next phase of training. 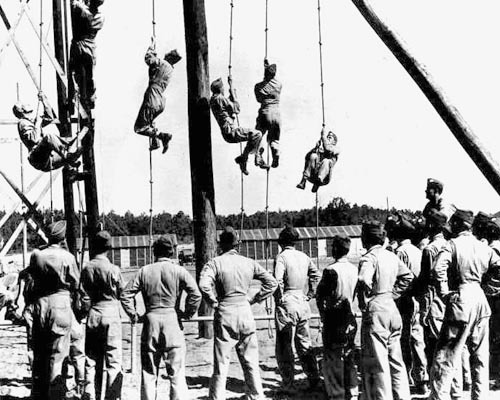 Camp Mackall was as the scene of even more advanced training for the men of Item Company. The company participated in individual, Platoon, Company, and Battalion level training. The months spent learning the finer points of soldiering at Camp MacKall were first demonstrated during the Tennessee Maneuvers of September – October 1943. Item Company’s first day of the Tennessee Maneuvers was one of great achievement as well as being ironically similar to what lay ahead in 14 months. On the first day the company marched 15 miles across country to capture a bridge that they were given a week to capture. Shortly after capturing the bridge they spent a week defending it surrounded and cut off from food and support. The Tennessee Maneuvers not only served as a showcase for Item and all the 501st PIR it enabled the men and officers to come together as Battalions and as a Regiment in preparation for the movement overseas. In January 1944 the 501st moved as a regiment to Camp Miles Standish in preparation to move overseas. Removing all identification the men boarded ship and sailed for Scotland arriving 11 days later in Glasgow. Item Company’s home for the next 6 months were the stables of the House of Rothschild. Here the men would prepare for their firs test in combat. Operation Neptune and the invasion of Europe in the early morning hours of 6 June 1944.